With exposure that any pop artist would kill for, can NCT 127 seize its chance for stardom in the US? NCT 127 is planning a string of aggressive stateside promotions ahead of the release of its first full-length studio album, “NCT #127 Regular Irregular,” slated for release Oct. 12. The album’s preorder sales notice, posted Sept. 26, allows shipping to the US through Amazon for the first time in addition to S.M. Entertainment’s online shop. “We are so excited to announce our very first nationally televised performance in the US on Oct. 8 at @JimmyKimmelLive,” read NCT 127’s Twitter post, published Sept. 25. While the band has done promotions in America before -- as recently as in June at the annual Korean popular culture convention KCON --, it has never released a song in English, singing predominantly in Korean. The new single’s bilingual release attests to its ambitions to expand its reach to the US market. During the Monday broadcast on V Live, South Korean portal Naver’s video-streaming platform, the band dropped a bombshell announcement that it has been invited to and confirmed attendance at the American Music Awards red-carpet event, scheduled for Oct. 9 at the Microsoft Theater in Los Angeles. On Nov. 4, the band will star on another show on ABC: “Mickey Mouse’s 90th Spectacular,” a two-hour TV event celebrating the 90th anniversary of Disney’s iconic Mickey Mouse. 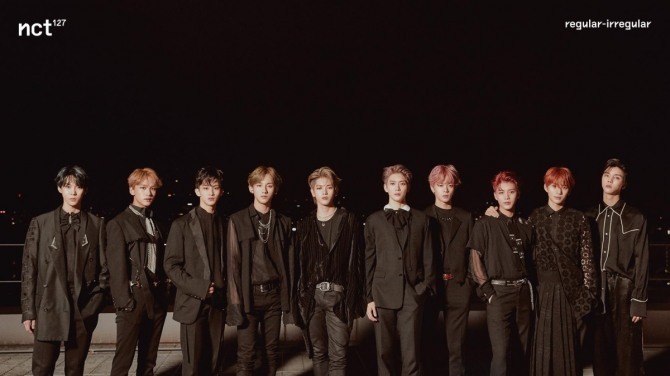 NCT 127 will stage a musical performance alongside Meghan Trainor, Josh Groban and Zac Brown. Apple Music named the band as the latest “Up Next,” the streaming service’s monthly pick featuring up-and-coming artists. The recent selection aligns NCT 127 with the likes of Khalid and Billie Eilish, who have also been previously spotlighted on the series. Billboard recently placed NCT 127 fifth on its Social 50 chart, an indication of the band's soaring internet popularity. UK-based media outlet Metro discussed NCT 127’s potential to be “the next BTS” in a piece Tuesday. BTS' name was coined not so much as a comparison but as an example of a worldwide success of a Korean artist. NCT 127 is creating a buzz even before the release of its first studio album, with scheduled appearances on major entertainment shows. With exposure that any pop artist would kill for, will NCT 127 seize its chance for a big break in the US? The signs are certainly auspicious. NCT 127 debuted in July 2016 as the Seoul-based subunit of boy band NCT. Short for “Neo Culture Technology,” NCT is Korea’s top music label S.M. Entertainment’s “glocalization” venture, comprising multiple subdivisions based in different international locales.